Managing and transferring knowledge - at the right time, in the right place and with the right quality for customers - enables companies to survive in times of fierce competition. The focus of this work is therefore on Knowledge Management and Customer Relationship Management. The theoretical part comprises several approaches to knowledge, its transfer and the barriers to be overcome when sharing knowledge. This is followed by a description of CRM and CKM (Customer Knowledge Management), outlining how crucial their successful use is. The practical part explores on the one hand the dependence on knowledge and on the other hand its availability for a good customer relationship. It includes a case study that investigates both the administrative and the operational area of a concrete company. The survey results are then discussed in detail, key success factors identified and mistakes pointed out. After this critical analysis, final recommendations are given that every company can benefit from. Silvio Wilde studied Human Resource Management and International Project Management at the University of Applied Sciences in Neuss (Fachhochschule für Oekonomie und Management) and currently works as a marketing and sales expert. Thanks to his previous employments at Siemens, AT&S, BASF and Bayer, he can look back on a broad range of experience in different corporate cultures. 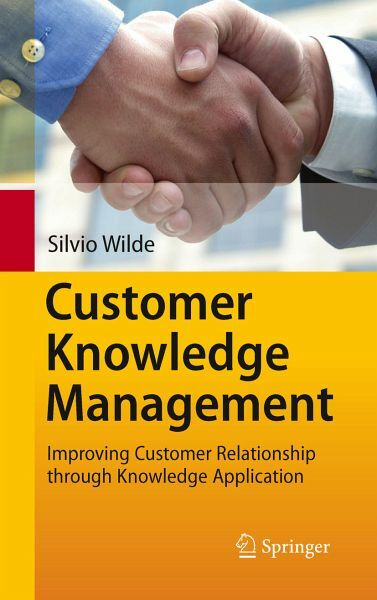 This also enabled him to gain insights into the close relationship between Knowledge Management and Customer Relationship Management - the research topic of his book. His interests focus on "human capital", companies' most valuable asset. 1.Introduction.- 1.1 Preface.- 1.2 Research Problem.- 1.3 Research Objective.- 1.4 Structure of the Book.- 1.5 From KM to CRM: 'PKMA', '5-Step CDLS', 'CRI-C' and 'SIS'.- 2. Small and Medium-Sized Enterprises.- 2.1 Preface.- 2.2 Nature and Importance of SMEs in Europe.- 2.3 SMEs in Germany.- 2.4 NEWCO International GmbH.- 2.5 Difficulties and Competition Factors of SMEs.- 2.6 Summary.- 3. 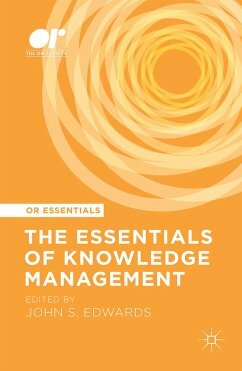 Knowledge Management.- 3.1 Preface. - 3.2 Definition and Types of 'Knowledge'.- 3.3 Concepts of and Approaches to 'Knowledge Management'.- 3.4 Summary.- 4. Knowledge Transfer and Sharing.- 4.1 Preface.- 4.2 Complexity of Knowledge Sharing.- 4.3 Best Practice Transfer Model by Szulanski.- 4.4 Barriers to Knowledge Exchange.- 4.5 The Concept of Ba.- 4.6 The Learning Organization.- 4.7 Summary.- 5. Customer Relationship - Customer Knowledge.- 5.1 Preface.- 5.2 Customer Relationship Management.- 5.3 Customer Knowledge Management.- 5.4 Summary.- 6. Practical Investigation.- 6.1 Preface.- 6.2 Research Methodology.- 6.3 Research Design.- 6.4 Theoretical Approaches of the Case Study.- 6.5 Results of the Survey.- 6.6 Summary.- 7. Critical Debate.- 7.1 Preface.- 7.2 Discussion of the Results.- 7.3 Recommendations Resulting from the Case Study.- 7.4 Critical Analysis.- 7.5 Summary.- 8. Conclusion. - Appendix.- References.